Whether you have 10 or 10,000 products on Amazon, there is a huge opportunity to leverage what you already have on Amazon and start building your own brand outside of that platform with not much more effort than what it takes to read this post and drink your coffee. The technological know-how starts and stops with cutting, pasting and clicking your mouse. 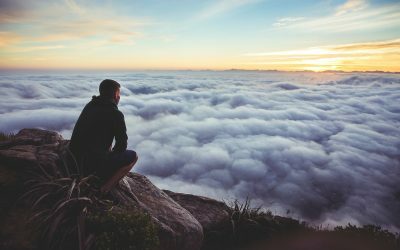 If you can do those things then you can be up and running on Shopify in no time. If you can’t, and you have a 10-year-old family member nearby, you can outsource the cutting, pasting and mouse clicking to them. It just might cost you a trip to Dairy Queen. The more places your products are, the more likely your customers are to find them. That means more sales and more money in your pocket. Perhaps more importantly, you never want to have all your eggs in one basket. Search the Amazon seller forums and you’ll find TONS of stories of people getting their accounts banned, often for completely illegitimate reasons. Amazon can get a little trigger happy at times, and you don’t want your entire business getting shut down in the blink of an eye due to their whims. The smart thing to do is sell through more than one channel to minimize that risk. It can be overwhelming to setup a whole new store from scratch. What theme is best? What fonts should you use? 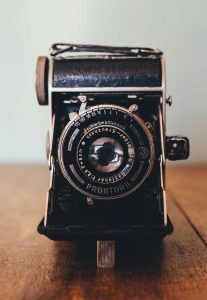 Where do you get quality images? What colors make people want to buy, buy, BUY?!?! We’ve already covered most of that in those linked posts, so we won’t rehash that here. Simply read those guides, stop procrastinating and click here to get going. We’ve figured out that it takes roughly 10 minutes to create a listing in Shopify. And that’s if you already have images and content, and it’s a simple listing with no variants. If you have to go searching the web for those items or have multiple variants, it’s going to take even longer. For the sake of argument, let’s say you have 200 products that you’d like to bring over. Breaking out the cocktail napkin I have laying around on my desk, I do the math. 200 x 10 minutes = 2,000 minutes or roughly 33 hours!!!! Almost an entire work week just doing data entry! No thanks, I would rather sit through 8 hours of my 10-year-old daughter’s dance recital. Thankfully, there is a solution. In Shopify there are many apps to do many a wonderful thing, and there is one app that will give you back those 33 hours of data entry by integrating Amazon and Shopify. It’s called ByteStand and it will move those 200 items from Amazon, into your Shopify store in roughly 4 minutes. The great thing about ByteStand is that it pulls high resolution images for all your listings and it handles all the relationships of parents to variants. To get going, just download ByteStand, follow the sign up steps and in a couple minutes you can pull your inventory over. For those visual learners out there, check out this video on how to sign up for ByteStand. Alright, you’ve got products in your store! 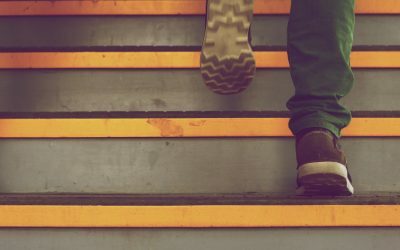 Now that you’ve copied your listings from Amazon into Shopify, how are you going to maintain your current listings as well as any new listings that you may create? If you are in the US, you’re in luck. 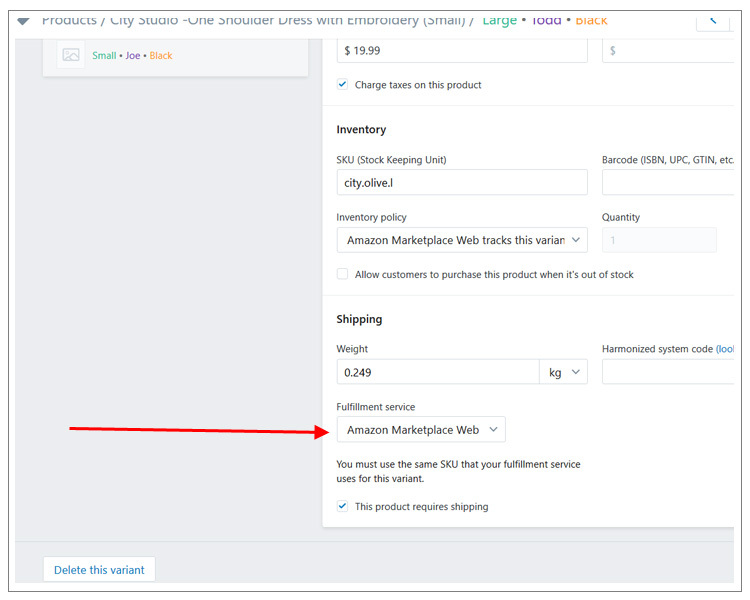 Because ByteStand creates listings with the “Inventory Policy” set to “Amazon Marketplace Web tracks this variant,” your quantity will be continuously updated by Shopify. However, outside of the US this feature does not exist. Thankfully ByteStand has this covered. With a simple “Refresh” within ByteStand and then a “Push” to Shopify, your inventory amounts and prices will be updated regardless of where you are in the world. Whew, 2 down and just a couple to go! You should be in good shape if your following along. 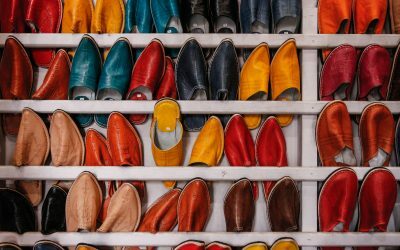 Typically themes on Shopify will treat tags, categories and collections slightly different, and you will have to spend time organizing and updating your listings according to how your theme is organized. This can quickly be done with Shopify’s bulk editor. I like to tell people it’s just like Excel, but within your Shopify admin. It’s definitely worth checking out because it’s a major time saver when trying to update many listings at the same time. The great thing with ByteStand is that after pushing your inventory over, then updating your listings, you can then continue to update your price and inventory without interfering with any of your changes. It’s a huge time-saving feature within the app. So get all your descriptions and details exactly how you want them and then set the app to just update the parts of your listings you want updated. That’s it! You’re ready to sell products on Shopify! If you already fulfill your own listings on Amazon, then fulfilling your sales through Shopify is a no brainer. Just continue doing what you’re doing, just do it more. However, if you use Amazon’s FBA service, then you can continue to let Amazon fulfill your orders for you. There are just a couple of steps you need to take, and thankfully there is a Shopify app that will help you here too. It’s called FBA Shipping and it solves one big issue. What shipping rates should you charge? Do you know the fulfillment costs for all 200 of your products? And do you know the shipping rates for shipping a spatula to Seattle or a toaster to Toledo? I don’t, but FBA Shipping does. What it does is pull in dynamic, real-time FBA fulfillment and shipping costs so you can pass them along to your customer, charge a little more, charge a little less, or even provide free shipping based on the purchase price of the items in the customer’s shopping cart. All things you can’t do with statically entered shipping rates. Once you have downloaded the FBA Shipping app, there are still a couple Shopify settings that you will want to update. 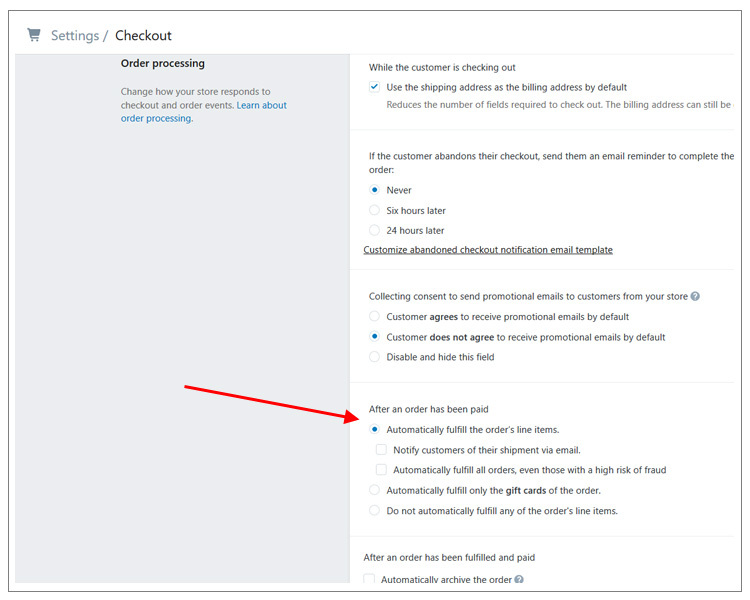 First is to “Automatically fulfill the order’s line items” in Shopify. 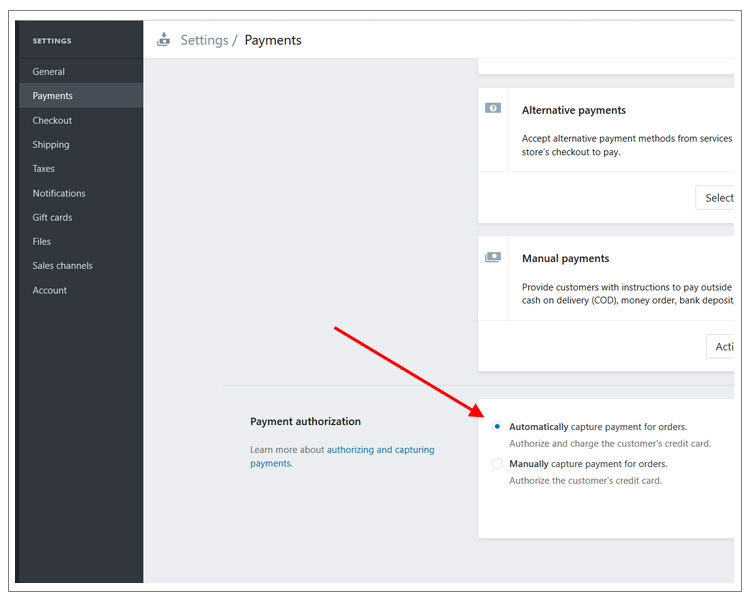 The other is to “Automatically capture payments for orders” so that you get paid! With FBA Shipping and those two settings updated you will be on auto pilot with Shopify, selling your Amazon products and letting Amazon FBA fulfil them. Hopefully you were following along because at this point you would be done! It really is that simple, but if you have any trouble ByteStand has a great FAQ for their app, or if you have other questions please reach out to me directly via my email. NOTE: ByteStand may be compensated in exchange for featured placement of certain sponsored products and services, or your clicking on links posted on this website.